I never really "got" winter vests. It seemed to me that they never provided enough coverage. Like, why would you not have sleeves if you could? That was of course, until I moved to San Francisco, where it is perpetual fall. Let me tell you, the winter vest has some in raaaaather handy. As you know, I recently picked up this number and have styled it again for you in today's How We Style It. 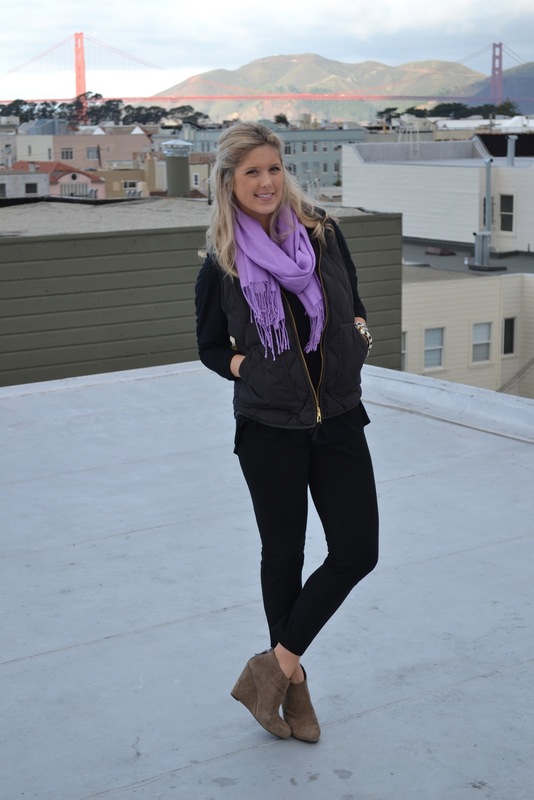 Just in case one quilted number wasn't enough, I also picked up the faboo black winter vest below from J.Crew. It comes in several fun colors and even in HERRINGBONE. However, since I only really had the tan one and this sporty blue one, I figured I needed a more versatile piece that would go with more options. 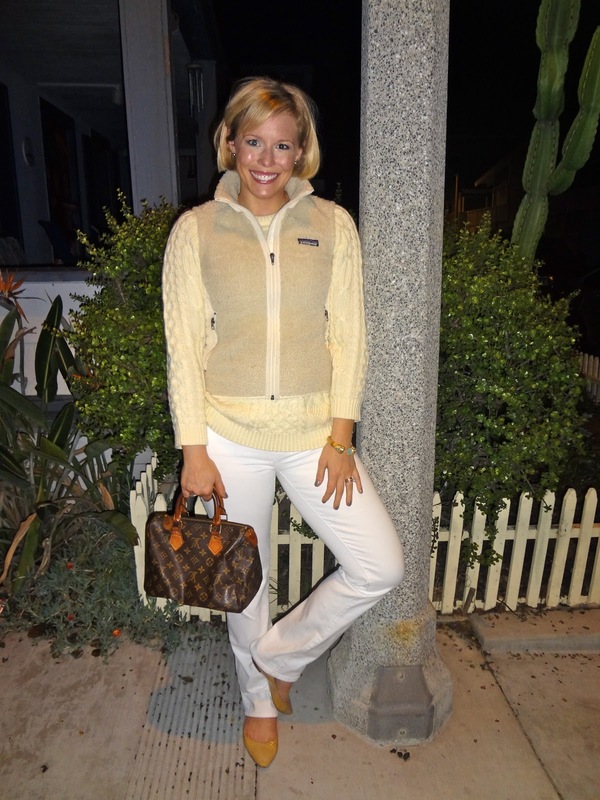 While I have a moral opposition to white pants after labor day, I do love Allison's cream and white ensemble featuring her Patagonia winter vest. Total cozy/chic combo! I would like to formally apologize for the frizz ball hair you see here today. My hair dryer exploded this weekend and didn't get a new one in time. You're welcome for usually hiding this from you. PS if you haven't already, check out our guest post on the Eventbrite blog - From Drinks to Decor: Picking Your NYE Theme! i love how you styled a sporty vest in the most feminine of ways! I love the way you styled your winter vest :-) Super cute with wedges!! I have that vest in Navy and love it!! I really like how you dressed it up with the leopard shirt, so cute! This may be one of the dumbest questions ever - but how did you style your hair in the picture with the vest? I can never get that messy yet styled half-up look quite right and it looks adorable on you! ...and while we're talking style, have you ever done a post on your daily makeup routine? I always love your eye makeup!